Few of us think of downtown without immediately flashing on our skyline, a majestic sight from any angle. Our air conditioned metropolis is home to some of the world’s finest examples of modern day architecture and technology, Art Deco, Brutish and Mid Century modern sit side by side in perfect harmony with sleek and savvy glass and steel towers. Interestingly enough, our fair city was once, and still retains a brick and mortar heritage that harkens back to The Allen Brothers, a time when Houston was the Capitol of Texas and the Buffalo Bayou was a major port of call. Streets like Sabine are still cobblestone paved; the homes that dot Heritage Park are testament to our rustic past while proving once again that Houston has stood the test of time. The homes in the downtown historic district have been lovingly restored and maintained for generations, often occupied by the same families that once braved the new territory of this southwest Texas homestead. You can’t deny Houston’s past, but our present is a marvel to behold as well. We take great pride in using what were once warehouses, breweries and cotton exchanges into modern lofts and living spaces that make downtown residency a unique and vibrant part of the Houston mosaic. 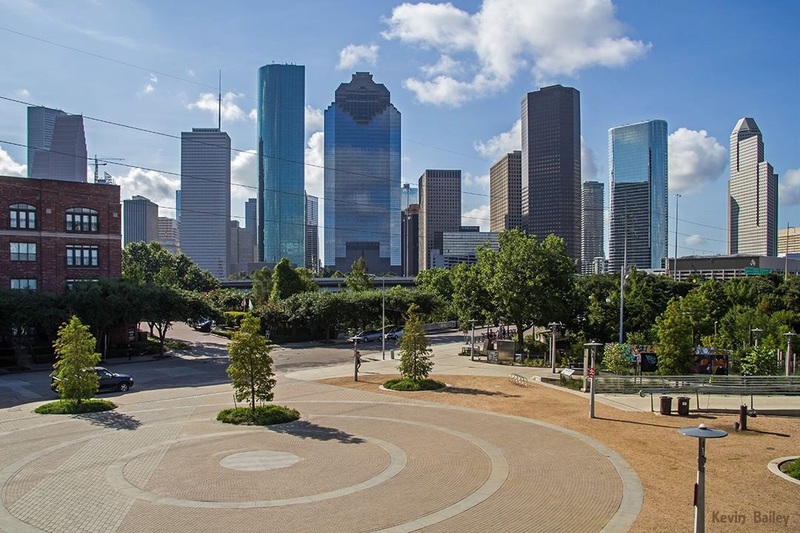 Whether your tastes run to the state of the art sky lit condos with views that are as “big as Texas” or you wish to plant roots in a piece of the restoration community of the bayou , Houston has everything waiting for you. Museums, Theatre and Fine dining are only the beginning of the bounty that is at your finger tips, all within walking distance of this well constructed downtown district. Buffalo bayou and Discovery Green offer more Green space than Central Park and the bike; jogging and walking paths afford a ever changing repast from the big city as well.